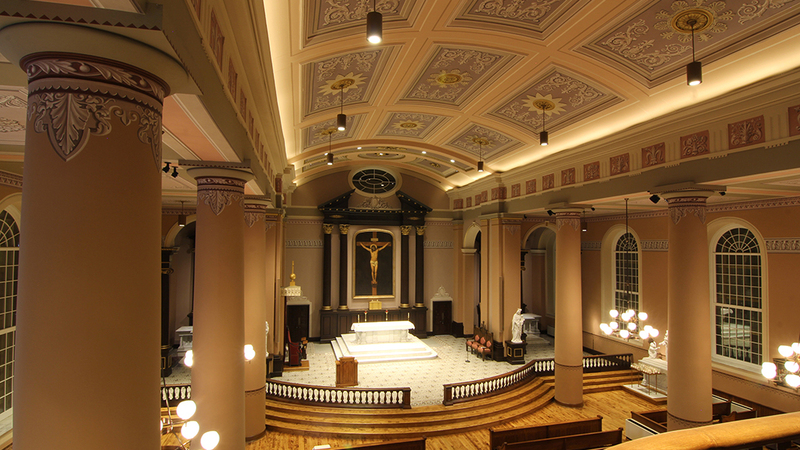 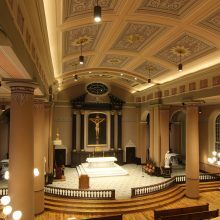 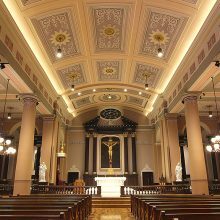 For over 175 years, the Old Cathedral, beneath the Gateway Arch, has served as an important landmark and religious building for the City of St. Louis. 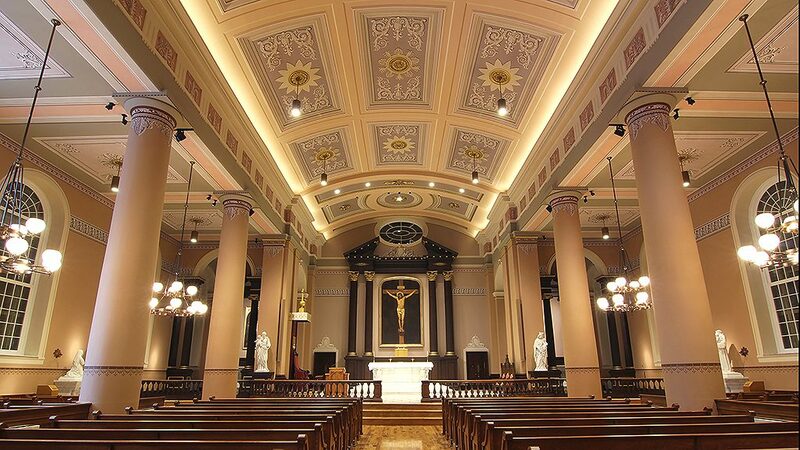 In 1961, Pope John XXIII elevated St. Louis, King to Basilica status. 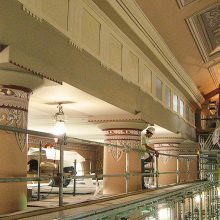 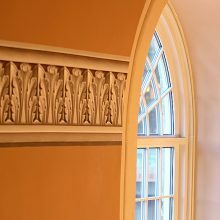 EverGreene’s research and initial paint study detected five significant decorative campaigns while a survey of the Cathedral’s interior walls uncovered considerable plaster deterioration. 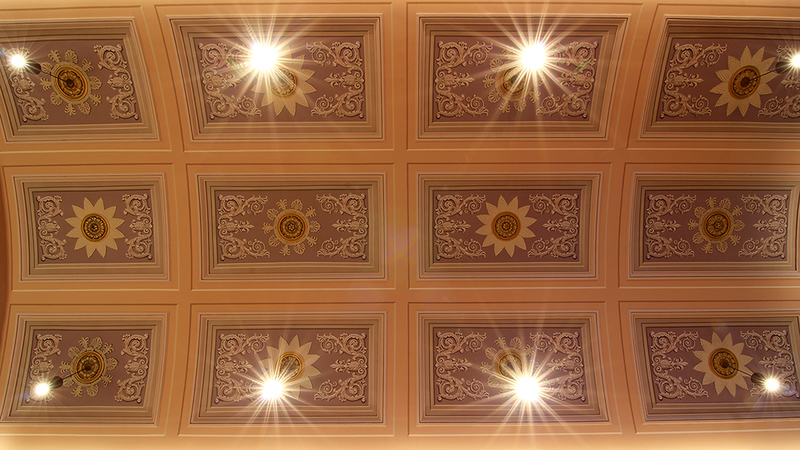 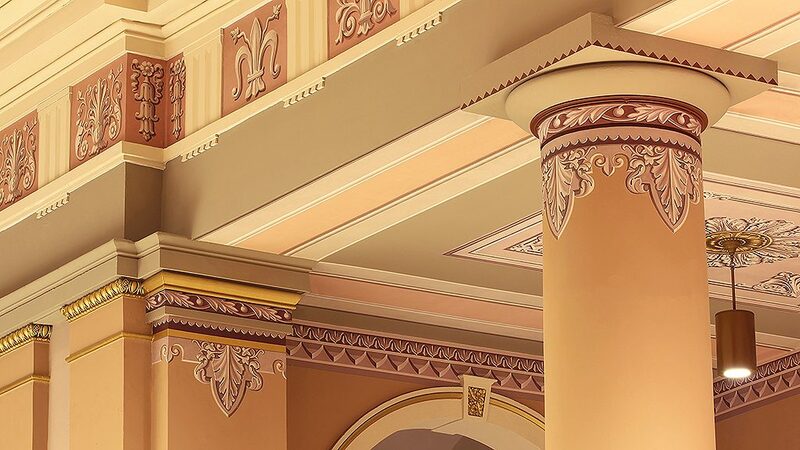 A decorative scheme dating back to the 1890’s was selected for the renewal. 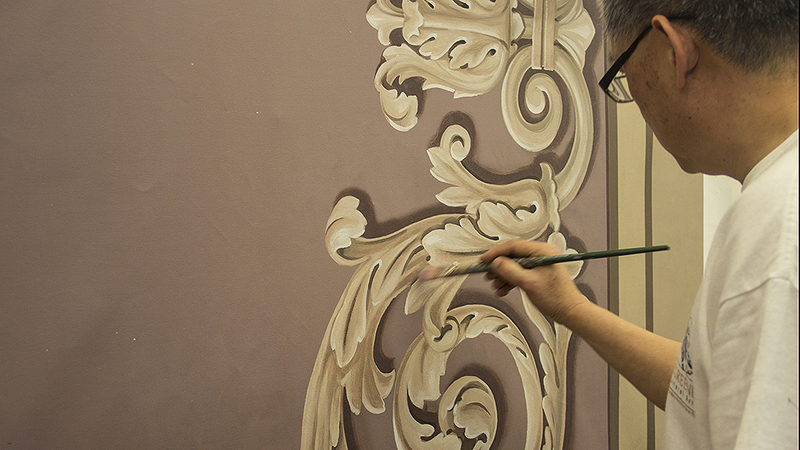 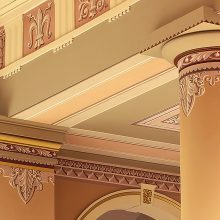 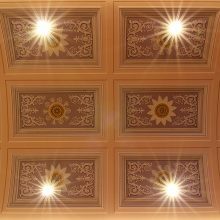 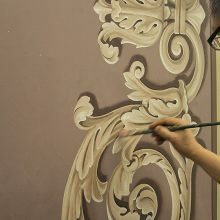 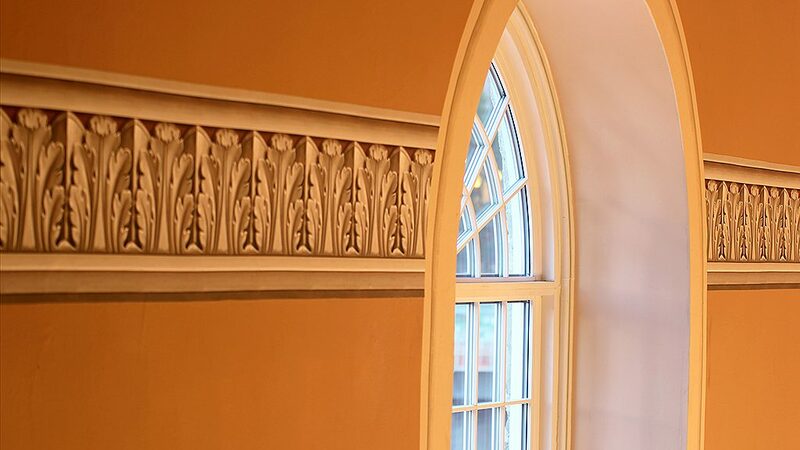 To accommodate a tight schedule and budget, EverGreene hand painted trompe l’oeil ceiling decoration on canvas and created fine art giclée reproductions. 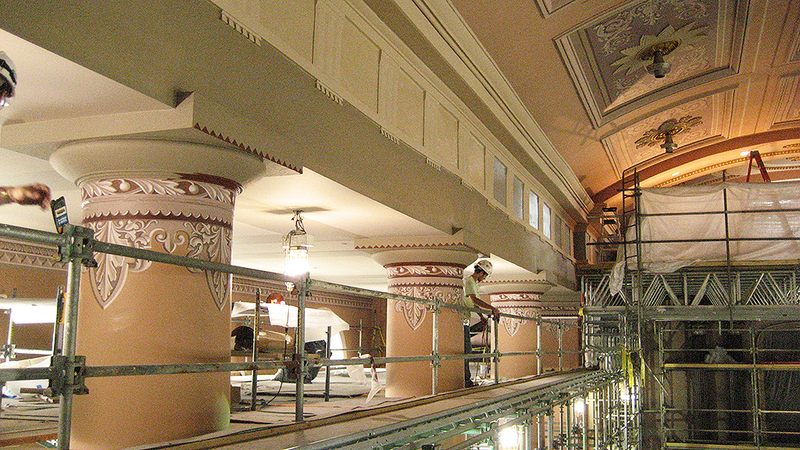 Printed panels were then installed and hand-finished in place.